This is a well-built “screw-on bezel” type gauge. It has not been tested but the internal parts (Bourdon tube etc.) are all there and in excellent condition. 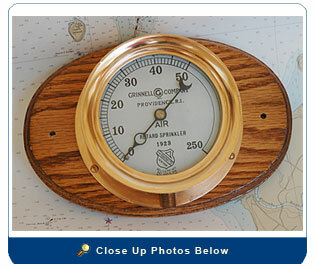 By the info on the dial it is believed that the gauge was part of the fire sprinkler system at the Grinnell Co. Providence, RI. The patent date is July 4, 1916. 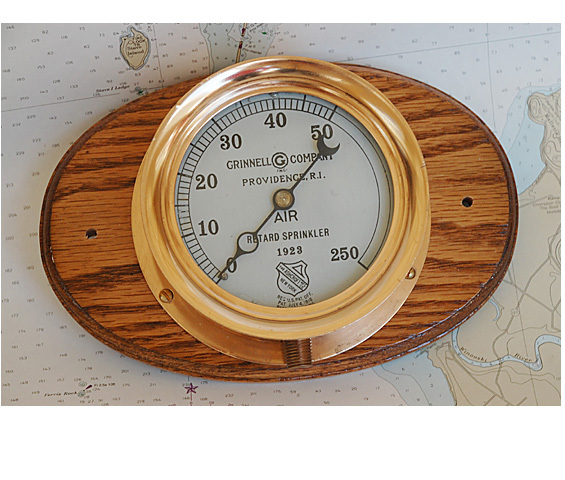 The gauge has been polished, sealed with lacquer and mounted on an oak board. Size: Gage 5 ¼” diameter; Base 9 ½” Wide and 5 ¾” High.